This week, let’s learn a memorable ballad by Stephen Foster with this Beautiful Dreamer ukulele tutorial, complete with chords, lyrics and tab/melody arrangement. 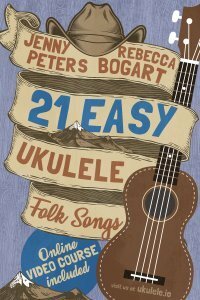 Beautiful Dreamer is one of the songs from our newly released book 21 Easy Ukulele Folk Songs. 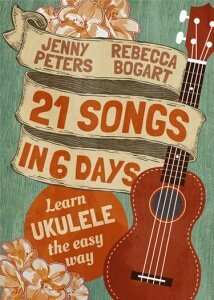 In this beautifully arranged book, you’ll get 21 carefully selected songs with lyrics, chords, strumming patterns and tabs plus online videos. You can purchase the book here. To follow this Beautiful Dreamer ukulele tutorial, you’ll need to know five chords which are: C, Dm, G7, D7 and F. Although there’s a bit more chords than the previous folk songs we’ve covered so far, you’ll find the strumming pattern for this one easier – as it follows all down strums. Of course, Jenny has not forgotten those who love doing chord melody so she does fingerpicking of melody tab at the end. If you want to learn more about how to play Beautiful Dreamer on ukulele, Jenny will have a live lesson on Facebook later this week. Hence, don’t forget to like and join us on Facebook. In case you missed the live tutorial, don’t fret as a recording can be found under the videos section on our Facebook page. Stephen Foster, a popular American songwriter, wrote Beautiful Dreamer in the early 1860s. A few months after Foster’s death in January 1864, Wm. A. Pond & Co. published the song. Aside from this enchanting ballad, Foster has written more than 200 songs, many of which remain popular today such as Oh, Susanna, Camptown Races, Jeanie with the Light Brown Hair and Old Folks At Home. 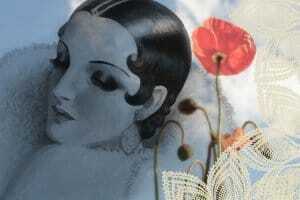 Many famous musicians have recorded Beautiful Dreamer. For instance, Bing Crosby recorded it in 1940 and also in 1962. Slim Whitman, Roy Orbison and Jim Reeves also released popular versions of the song. Some musicians recorded renditions of the song with revised lyrics such as John Leyton, Tony Orlando and the Beatles. In addition, producers and artists have featured the song in various films and TV shows. Gone with the Wind, Second Chorus, the 1989 Batman and How to Make an American Quilt are some of the films that featured the song. As for TV shows, Beautiful Dreamer has been part of series and sitcoms such as Rawhide, Saved by the Bell, Little House on the Prairie and The Twilight Zone as well as animated shows and children’s programs such as Garfield and Friends, SpongeBob SquarePants, Elmo’s World, and The Simpsons.